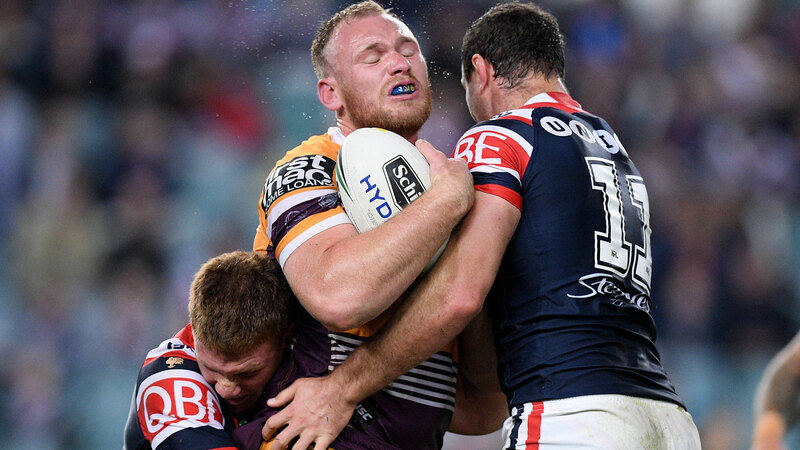 Brisbane Broncos prop Matt Lodge is set to be named in Brad Fittler’s emerging NSW Blues squad. The controversial star dominated headlines ahead of last season after CCTV footage emerged of his infamous 2015 New York rampage. After a successful and incident-free year with the Broncos, Fittler has chosen select Lodge as part of his preliminary 38-man squad. It has long been believed the Broncos big-man would play Origin and stake his claim for a Kangaroos jersey. “He went incident free and had a very good year with the Brisbane Broncos,” Danny Weidler told 9News. Lodge will hope to impress selectors in his bid to secure a spot for the first game of State of Origin 2019. Sydney Roosters’ Victor Radley is likely to be named in the emerging squad, as well as Kyle Flanagan.